MathsBank Blog: Should Google be allowed in public exams? Should Google be allowed in public exams? will be allowed in exams. The head of exam board OCR sparked a controversy this week when he said it was "inevitable" that search engines, such as google, will be allowed in public exams, such as GCSEs and A-Levels. 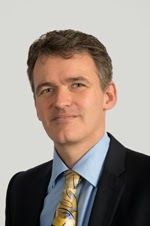 Mark Dawe told BBC Radio 4's Today programme that allowing internet use in exam rooms would reflect the way pupils learned and how they would work in future. He said that students would still need a basis of knowledge and that they would have limited time to conduct searches. Regarding when these changes might be introduced, Mr Dawe said: "It's very unlikely to happen in the next few weeks or next few months, but it's certainly inevitable, I would suggest." If you are a pupil reading this, you might be thinking that such a move would make your exams - and your revision programme - a lot easier. But would it? Clearly the exams themselves would adjust to the changes. There would be fewer questions where the answers were easily "googled". The questions would become more about how to apply the knowledge you have, rather than about how much you remember. A part of the skill set required for these new examination would be on your ability to find the relevant material on the web, how to collate this information in a sensible way and into a usable form, being able to discern between good reliable information and nonsense (of which, as you know, there is a lot on the web). In A-Level maths, for example, it is possible to find the solution to any integral on the web. So the questions may become more about applications of integration: real world problems. Questions may become more wordy in mathematics. Problem solving skills will be required, since the candidate will need to know what form of integration is required, or even whether a question requires integration or differentiation, rather than the exam paper presenting an integral and asking the candidate for the solution. So examination writers would also have to take on an entirely new set of skills. The Campaign for Real Education condemned the idea as "dumbing down". Their spokesman Chris McGovern said: "We have a crisis in standards in this country." He added: "You can have an exam in how to use Google - that's not the same thing as having a history exam or a geography exam. It is important to note that when calculators were first introduced in public exams in the 1970s there was a similar furore from some parties. What do you think? Should Google be allowed in public exams?